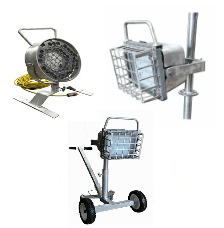 The Boss Family has been in the Explosion-Vapor Proof Portable Lighting business since 1981. 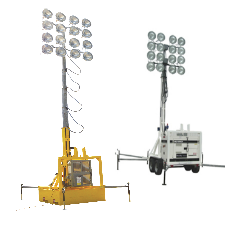 They have been credited as being the first portable lighting company to be UL Certified for Explosion Proof Lighting using HID Technologies. One of the first to be UL Approved as a Jobsite Electrical Assembler covering UL Standard 1640 Procedures. 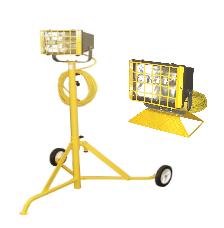 And, one of the first to introduce Quality LED Products to the Portable Lighting Industry. 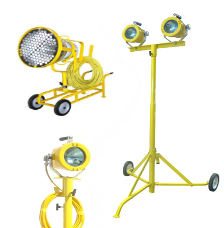 most recognizable lighting product used in industry today. 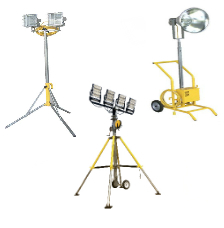 LED Lighting Products are now available as both Hand Lamps or Portable Floodlights, both Division 1 and Division 2 rated presentations. LED Rope Lights rated for wet locations was introduced into the tank and vessel servicing industry in late 2016. The newest of Boss innovative products for the Confined Space Entry servicing industry. BossLTR offers all of the Boss Family products both short and long term rental projects within USA and Canada. We take care of shipping the rental products to project sites and arranging the pick-up of products upon completion. 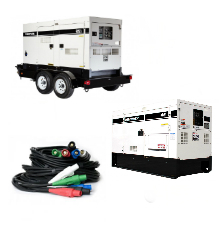 All rental products come on racks or special shipping containers so clients can easily receive and return products.